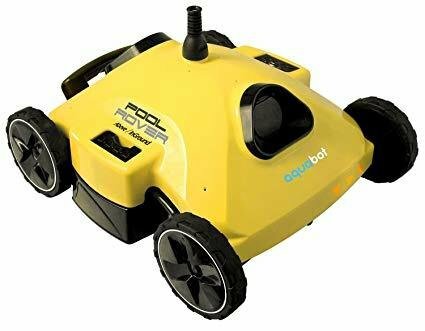 The Aquabot Pool Rover S2-50 Robot Pool Cleaner has an innovative design that was created for a faster more accurate cleaning. The Pool Rover S2-50 features some of the best cleaning functionality on the market. The sleeker design and brush allows for maximum coverage throughout your pool and allows you to enjoy your pool instead of worrying about it. The Pool Rover S2-50 is equipped with hydro-robotic technology and has the capability of mixing 80 gallons of water per minute.